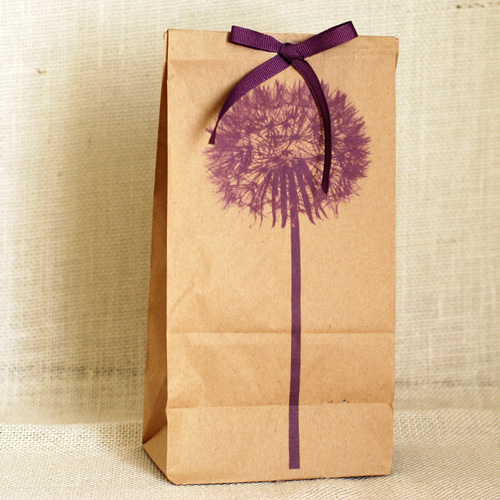 This paper craft project raises the lowly paper lunch bag into an “artsy” gift bag. You don’t have to have an artistic bone in your body to do this craft. All you need are black and white clip art images, access to a printer, and colored pencils. IF you can color, you can make fantastic “art”! Easy peasy!!! This fun project looks complicated, but it isn’t. I promise. 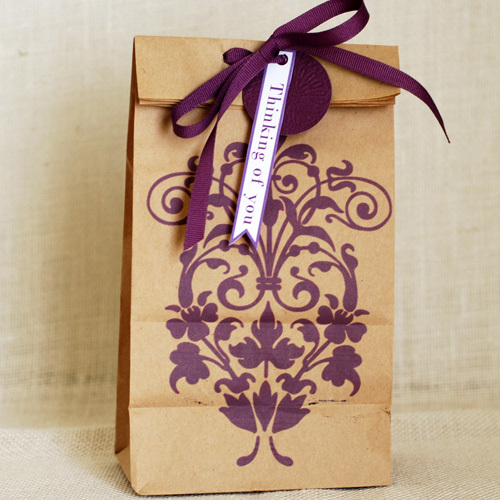 Just follow the steps below, and you can make gift bags that are almost as pretty as the gift inside. If you want to use the same images that I use you can find them here. I used the Photoshop brushes by punk safety pin set 60 retro flowers. The pictures are quite lovely and have an organic look and feel to them. I prefer to use Prismacolor Premier Colored Pencils. I feel that the pencils have brilliant and beautiful color, and are a high-quality product. You just don’t get the same results with cheaper pencils. 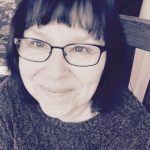 If you are unsure how to use colored pencils, check out this informative blog post by Dorcas Designs. She has a very clear and easy to follow tutorial. You will be a pro in no time after reading her instructions. Choose clip art that is to your liking. The important part is that the image should be a black and white line drawing, and look like a cartoon drawing. Measure your lunch bag, and set up your page layout size in your printing software to be the same size as your lunch bag. For example, my lunch bag measured 5.25 in x 10.5 in so that was the size of my page layout. I used photoshop for my project, but you could use any word processing software. i.e., word, Microsoft publisher, etc. Place your clip art into your page layout where desired. Place the bag into your printer and print the clip art image onto your bag. Color your image with colored pencils. Trace over the black lines with a sharpie marker if necessary. Voila, you now are done. Wasn’t that the easiest prettiest gift bag ever? What? You say you don’t have time to color but like the idea of a quick, cheap gift bag? Not to fear! 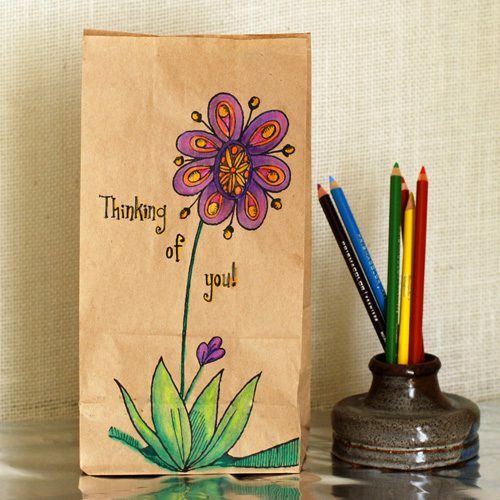 Just print clip art onto a lunch bag, add embellishments and you are done. The bags can look beautiful and still a have a personal handmade touch. The flourish image came from the Photoshop brush set Ancient by green eyed butterfly which you can find here. The dandelion image came from the Photoshop brush pack Dance of the Flowers by Sleepwalkerfish and can be found here.